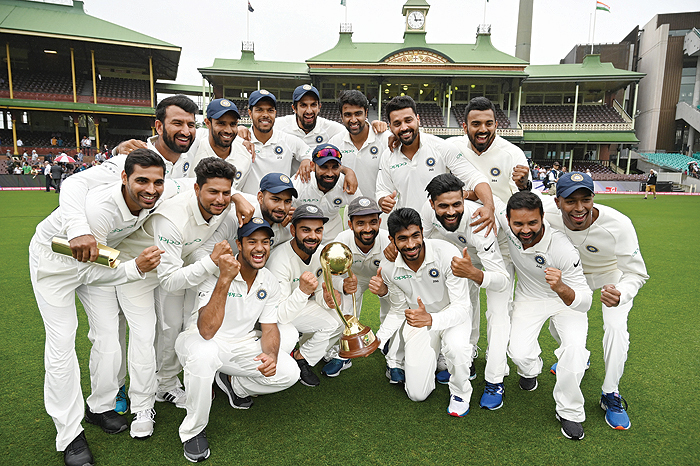 SYDNEY: India ended a 71-year wait for a Test series victory in Australia yesterday, their 2-1 triumph finally confirmed when the rain-affected fourth and final Test ended in a draw at Sydney Cricket Ground early yesterday afternoon. Praise and congratulations poured in for Virat Kohli’s India yesterday after the tourists won their first-ever Test series in Australia, underlining their world number one ranking. “A historic cricketing accomplishment in Australia!” Prime Minister Narendra Modi wrote on his official Twitter handle. 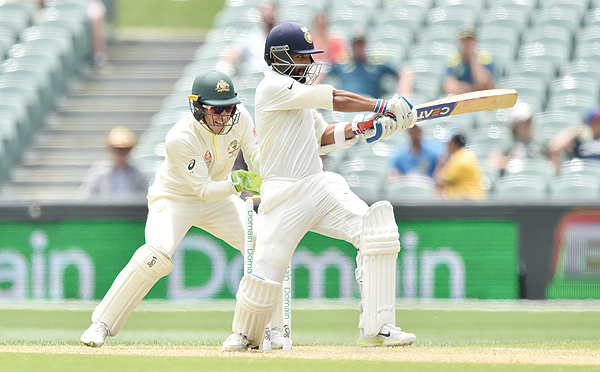 The hosts were duly dismissed for 300 and Kohli did not hesitate to go for the jugular by enforcing the follow-on-the first time in 30 years Australia had suffered such ignominy on home soil. “It’s obviously a very proud moment. More so because for the last 12 months we understand what we have gone through as a team,” said Kohli. “The fact that the reward has come in the most historic series for Indian cricket is the cherry on the top of the cake. “This is an Indian team that will jump over a cliff to win a game for their country,” said coach Ravi Shastri. “That’s the determination and the ruthlessness, the mindset with which this team went out to play in this series.